Profile – LEGG Company, Inc. Introducing perhaps the most comprehensive line of conveyor belts in the world, quality engineered to meet a variety of everyday applications, or specially engineered to your specifications. LEGG belting products are the result of a commitment to excellence and a dedication to quality that runs deep. 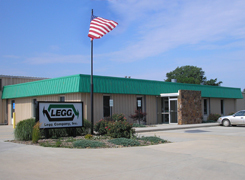 Our legacy speaks for itself; since 1939, LEGG has been serving the needs of a variety of industries by providing more than product; we provide technology-based solutions that answer your specific conveyor belting needs. Our philosophy is simple: We build the highest quality product using the best raw materials, the best manufacturing processes, the best personnel and the best distribution network. We stand behind our products and competitive pricing. Our ultimate goal is to ensure the satisfaction of our customers by providing them the most flexible solutions in the industry.